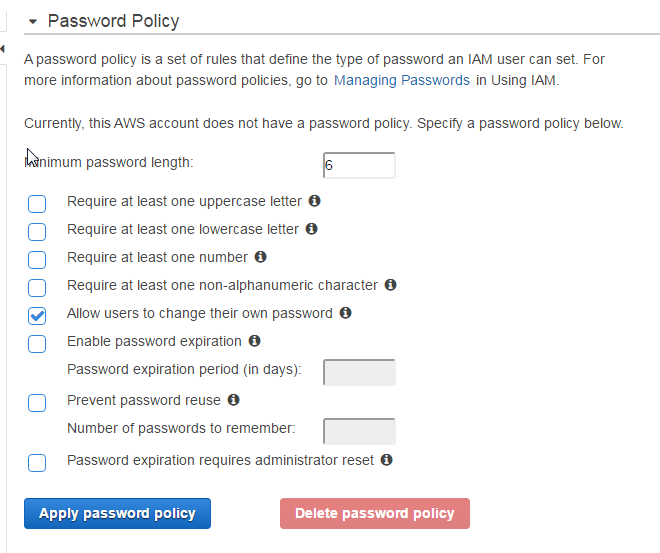 A password policy is a set of rules that define the type of password an IAM user can set. For more information about password policies, go to Managing Passwords in Using IAM. Currently, this AWS account does not have a password policy. Specify a password policy below.